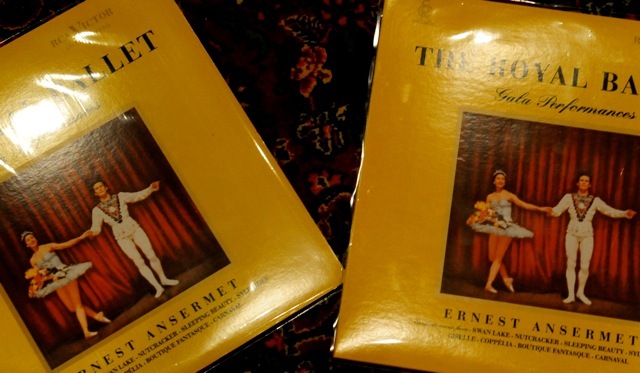 In my excitement to share good music with friends and customers, at times I give a favorite CD or LP as a gift, just to find out they are out of print and impossible to get back in my collection. It has happened once too often. 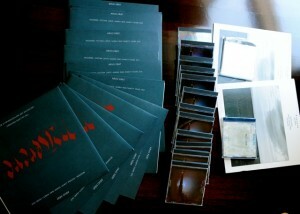 A few months ago when I gave a copy of Kazue Sawai CD to a customer who had come to audition Musical Affairs speakers. The sound is so real. You hear Ms. Sawai play in your music room. You hear everything. So beautiful. I am willing to cough up a couple of hundred dollars to get back that CD. Another CD I really like is by Tamia and Pierre Favre, called “de la nuit… le jour” on ECM New Series. Hard to find. I have seen their new CDs on Amazon go anywhere from thirty some dollars to around $130. Lucky me. Just found a good source for them and ordered 12 copies of them! Received today from Germany. Holderlin was a great German poet. I have read a little of his works. Not much. I was introduced to his work through a Wim Wenders’ movie called Wings of Desire. In it, Bruno Ganz recites some Holderlin poem. Beautiful even to the ears of someone like me who does not speak German. Found out there is actually a recording of Holderlin poetry recited by Bruno Ganz. Lucky me. Took a few months until I could locate one. And a while longer to find the LP version. Now, a couple of more copies, just in case. Arvo Part is a very good composer. His Miserere and Tabula Rasa are still two of my favorite works. Both out of print now. 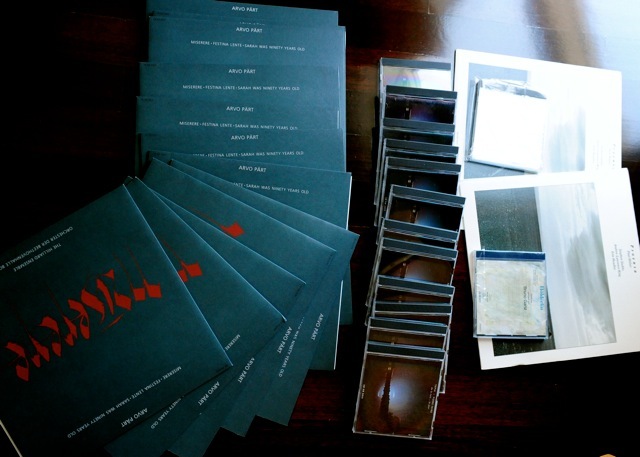 I got 12 copies of Miserere on LP and have a couple of copies on CD. I figure every now and then I can take them to friends as a gift instead of a bottle of wine. Well, a good bottle of wine while listening to great music is rather fun anyways. You can find a good interview with Arvo Part on YouTube, by none other Bjork. Please help me find my Kazue Sawai CD. 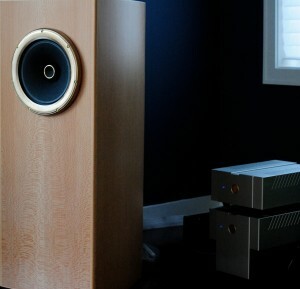 Just received my new Musical Affairs Grand Crescendo speakers. Hans Kortenbach has outdone himself again. This is the latest and greatest model with improved internal bracing. A beauty. These speaker are hand made and do look handmade, like a beautifully made musical instrument. SORA played Lady Gaga this morning. He and I like Lady Gaga for different reasons (who knows maybe some of the same). SORA agreed that my music system composed of DaVinci Audio, Nordost Cables, Harmonic Resolution Systems custom made rack, 47 Lab Flatfish, and EMM Labs‘ great digital equipment sounds better than his Macbook. Now as fathers and audiophiles, we should all yearn for such seal of approval. Please read more on Musical Affairs, and watch Hans on YouTube. no secret of my love for hans kortenbach and his workmanship. hans makes great speakers. above all, he is a good person always willing to share his knowledge and love of music with people. here is a video of hans kortenbach of musical affairs on youtube. there is also a video of my/his favorite drivers (PHY-HP), used in his speakers. thanks go to fritz de with for his great work.